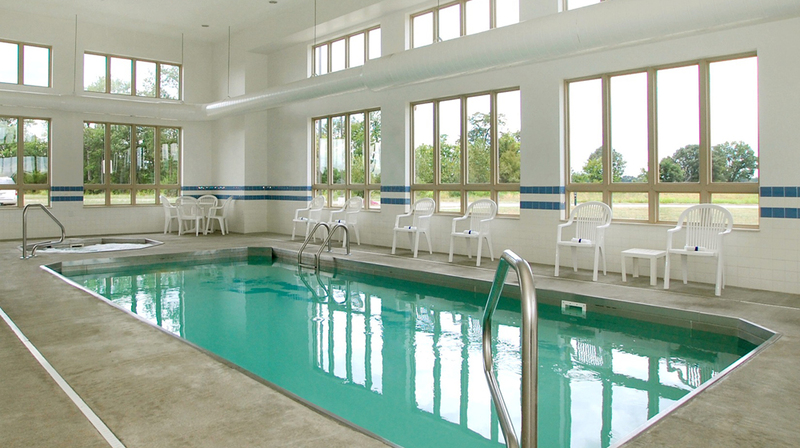 Situated on the Ohio River Scenic Byway, the smoke-free Comfort Inn & Suites® hotel is near Rockport, Indiana. Right off of Highway 231, hotel guests may enjoy a free hot breakfast. 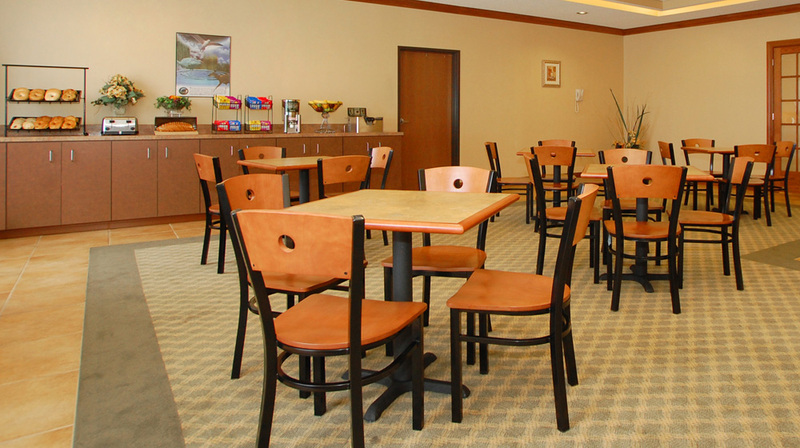 The signature breakfast provides everything from eggs, waffles, and meat to healthy options like yogurt and fresh fruit. All rooms feature coffee makers, hair dryers, irons with ironing boards, and TVs. And, select suites include microwaves and refrigerators. Lincoln Pioneer Village & Museum in Rockport, Ind. Holiday World & Splashin’ Safari in Santa Claus, Ind. The Lincoln Landing in Rockport, Ind. Lincoln State Park in Lincoln City, Ind. Lincoln Boyhood National Memorial in Lincoln City, Ind. 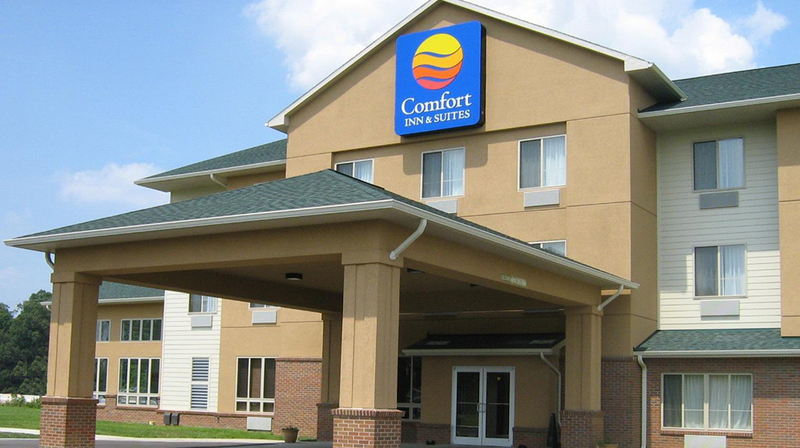 The Comfort Inn & Suites is just minutes from American Electric Power, AK Steel, and other Indiana businesses. 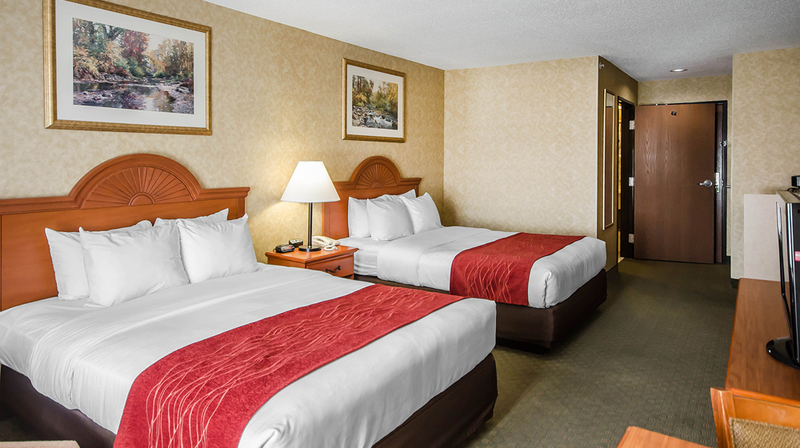 The hotel is a convenient place to stay for business travelers. Furthermore, there is a business center with a computer and access to copy and fax services, as well as a 50-person meeting space. On the map below, you'll find Comfort Inn & Suites, as well as a few of the lodging, dining, and activities that are close by.